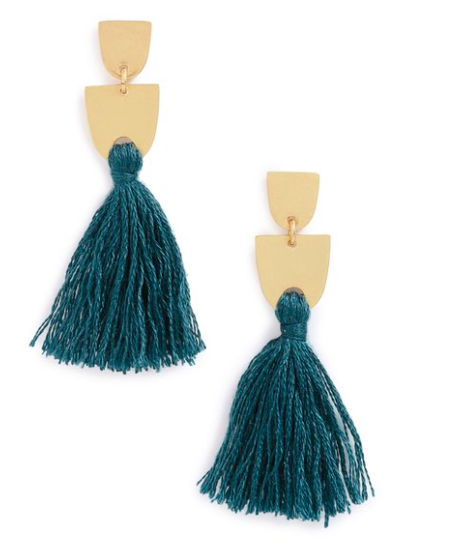 Let's play with tassels today. Swingy, eye-catching, and fun earrings that make a statement. But, I'm putting another layer to this awesomeness - all of these picks are under $40. I love the ombre blue mixed with the jewel stud! Beautiful Aztec inspired metal with a pop of turquoise to finish. 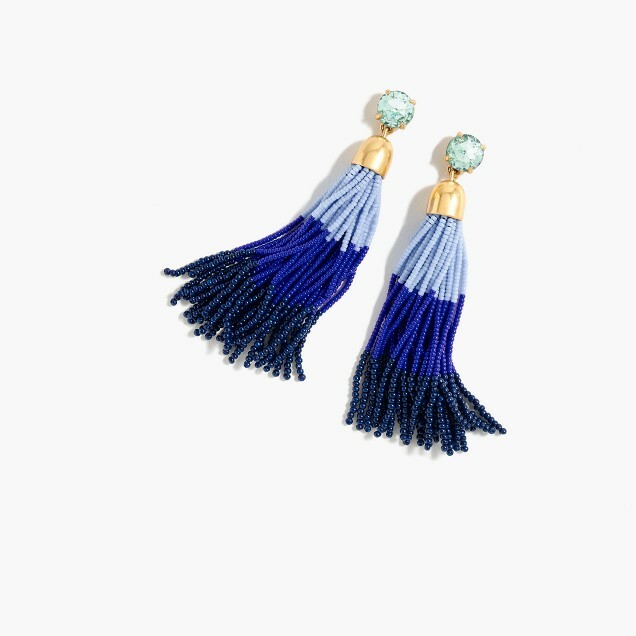 These earrings come in a dozen colors, but I'm partial to the monochrome because they go with everything. 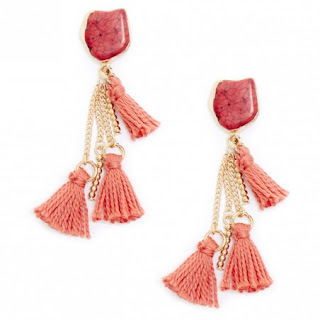 A beautiful pop of coral perfect to match with oranges and yellows. Tassels are great accessories because they have movement. Swingy, playful, and just fun to wear.